The wind was strong, but the sun was shining as the first 19 juvenile kaki/black stilt were released onto the Tasman River last week. 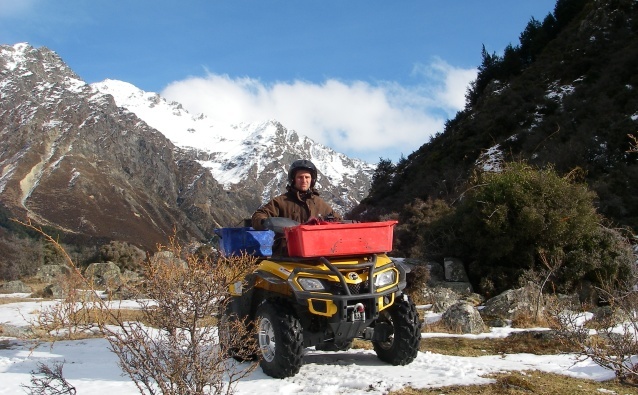 Today we profile Glen Curral, Biodiversity/Assets Ranger in Twizel. 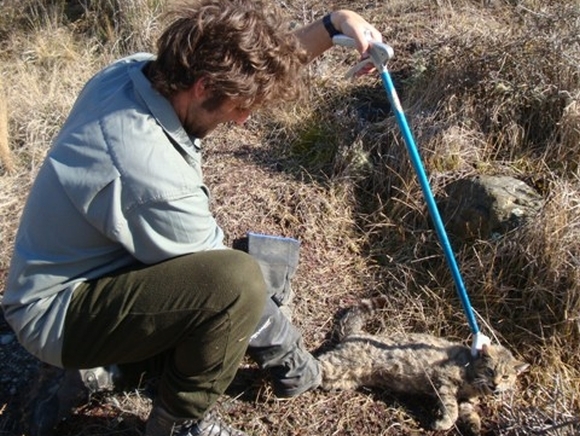 Some things I do in my job include… trapping cats and mustelids etc. As time allows I get involved with electric fishing, kaki (black stilt) work, and anything else I can help with. The best bit about my job is… working outdoors with views of Mt Cook, and the variety my role allows. The funniest DOC moment I’ve had so far is… when I was in a hurry to get a block of traps checked ahead of the forecasted snow later that evening and the quad bike became stuck. And when I say stuck I mean it took me five hours of digging to get out. I kept myself motivated with the thought of avoiding the dreaded office shout and the shame that goes with it. What I didn’t know at the time was that my workmate trapping in the next block had got his quad stuck as well, but had to abandon it as there was no way he could dig it out on his own, so had legged it back to the truck. I guess you could say it was just one of those days. The upside was the forecasted snow never came so we were able to winch out his quad the next day. The DOC (or previous DOC) employee that inspires or enthuses me most is… as I haven’t been with the department for that long I am yet to meet this person. The song that always cheers me up is… definitely Bob Marley “Three Little Birds”. My best ever holiday was… recently when my partner Melanie and I travelled to Canada, Austria, Germany, Italy, Denmark, England, France, and for the grand finale, two days at Disney Land, LA. I’m still in that place where you think about it every day and smile. It was such an awesome experience that I can’t wait to travel again. My greatest sporting moment was when… I ran the length of the field side stepping and fending off players to score under the posts in a high school rugby match at the tender age of 14. When I walked off the field at the end of the game, one of the 1st fifteen boys said, “You looked like John Kirwan the way you scored that try”. I was stoked. In my spare time I… have just started down the long road of becoming a “Master bow hunter”. I am now consumed by how many game points I need to gain the next award. I see animals as points (rabbit 2, hare 5). You are probably thinking ‘Is this an illness?’ The short answer is yes. Damn you Rhys Garside! Lol. If I could be any New Zealand native species I’d be… a Falcon, without question…. Just think: no boundaries, total freedom. That’s what I’m talking about. 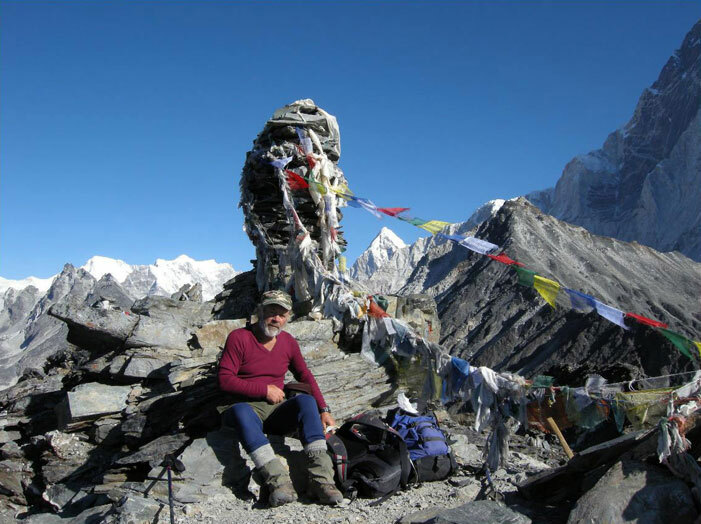 Today we profile Dean Nelson, Programme Manager – Biodiversity Assets. Position: Programme Manager Biodiversity Assets, Twizel Te Manahuna Area Office. What kind of things do you do in your role? I primarily manage the staff and the resources involved in undertaking the Biodiversity Assets programmes in the Twizel and Aoraki Areas. The key one is the kaki/black stilt recovery project and the associated Tasman predator control programme, but there are numerous others involving plants, fish, lizards and invertebrates. Examples include the delightfully named ‘fish guts’ plant (yes it smells), a fish only found in the Mackenzie Basin called bignose galaxiid (it has a bulbous ‘nose’) and the recently rediscovered knobbled weevil which hadn’t been seen since the 1920s. Occasionally I still manage to get out in the field when the team needs someone to help out with bird surveys or something similar. I also enjoy doing a bit of fish work where we are having some excellent results with using weirs as trout barriers to protect the bignose and lowland longjaw galaxiids. Working with some incredibly dedicated people who never stop trying despite everything that gets thrown at them. Also the chance to work with some really cool species and visit some stunning places. Dealing with some of the decisions being made by people further up the line who seem to have a relatively limited grasp of the reality of operating at an area level. What led you to your role in DOC? I did the old Parks and Recreation Diploma at Lincoln College (now University) and got a job as a Park Assistant at Makarora where I had spent some of my practical year. 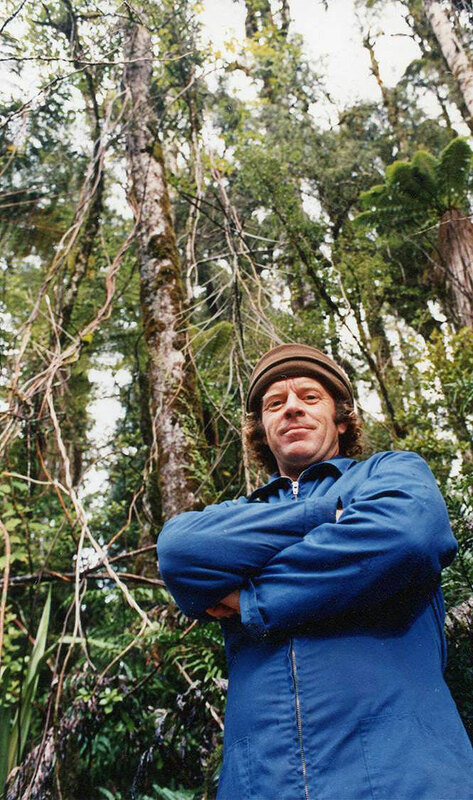 Not long after I was offered a ranger job at Mount Cook National Park – this was back in the Department of Lands and Survey days. 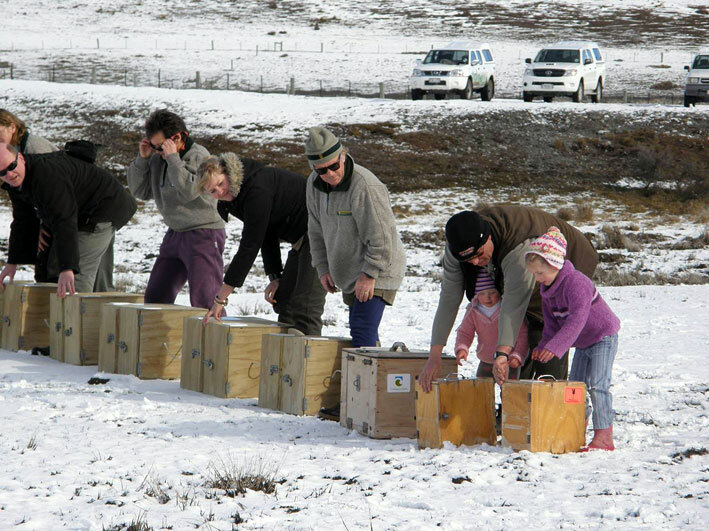 After about seven years of doing all sorts of stuff, I shifted to Dunedin in the middle of the 1989/90 yellow-eyed penguin population crash and got thrown into hand rearing orphaned chicks which led to the species management work I had always been keen to do. What was your highlight from the month just gone? A trip to Whenua Hou/Codfish Island to resurvey the yellow-eyed penguin population which is declining for some reason. This is my fifth trip to the island for penguin work and it is a very special little haven for biodiversity. I’ve been fortunate to have a few kākāpō encounters, including having Sirocco do his thing on my head—a painful experience. Have also met and worked with some special people down there. I wrote a diary (probably should call it a blog or something these days) of this trip which was organised by the Yellow-Eyed Penguin Trust. Getting into the outdoors, walking, tramping, hunting, mountain biking, fishing …whatever it is as long as it’s away from built up areas. Holidays which generally involve the above two. I think it is really important to give the kids adventures and experiences that they will remember and treasure. Idiots who think that it is entirely appropriate to take their 4WD wherever they can, regardless of the damage it causes or the impacts it has on wildlife. So much of our beautiful Mackenzie Basin disappearing under pivot irrigators. The habit/fashion (whatever you want to call it) that people have of wearing their pants at half mast, exposing undies, boxers and/or bits of their anatomy that shouldn’t be seen. Tasman Bay scallops fresh out of the water and quickly fried in a wee bit of butter – melt in your mouth, but unfortunately a bit of a distant memory now! Crunchy peanut butter and honey, spread thickly together on warm toast. Good quality boutique brewery beers – we have got some stunners down south but sadly, Emersons has sold out to Lion. Hopefully it won’t affect the quality and variety of the beer! 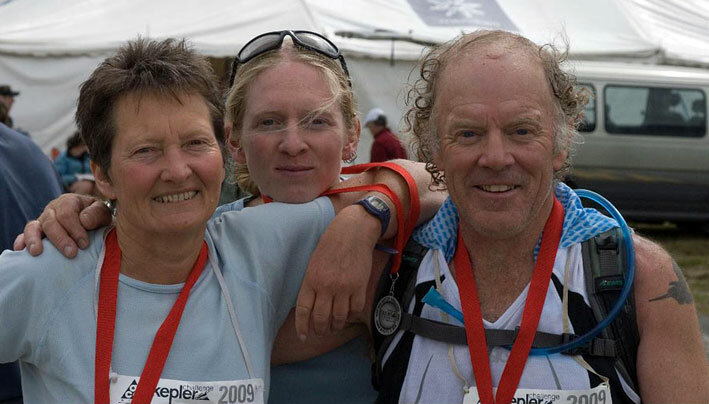 Totaranui – I holidayed there as a kid for many years and we are now going back as a family. Nelson Lakes – my tramping playground as a teenager. Beautiful valleys, easy tops and the best shingle screes to run down anywhere in the country. Any backcountry hut at the end of a hard day’s tramping with the trusty pit laid out on a bunk and a brew on. Movie: showing my age here—Butch Cassidy and the Sundance Kid. A classic. What piece of advice would you tell your 18 year old self? Get out and do it—you are a long time old and decrepit or even worse—dead. Our rangers. They are our unsung heros at the bottom of the heap, paid peanuts but they do some stunning work. As a kid, the usual list of suspects, but then in the third form at college, a mate and I wanted to be marine biologists. He is—working for NIWA—and I guess I ended up on terrestrial stuff. And now, if you weren’t working at DOC, what would you want to be? I’ve always had a hankering to be a helicopter pilot or failing that, a photographer for National Geographic. What sustainability tip would you like to pass on? Turn down the thermostat on the hot water cylinder by a couple of degrees—they are often set too high. I’ve done it a couple of times and my wife who loves her hot showers hasn’t squealed yet. Which green behaviour would you like to adopt this year—at home? At work? Get the compost working better and grow more veggies. If you could be any New Zealand native species for a day, what would you be and why? There are a whole lot of them that I really admire—the diminutive wee rock wren, the fearless falcon (I saw one trying to attack an Iroquois helicopter that came too close to its nest) the melodious kaka – the list is endless. However, imagine going back in time and being Harpagornis/Haast’s eagle. Now that would be something. After 39 years working in conservation, Dave Murray retired at the end of February from the Te Manahuna Area Office in Twizel. A sociable character, you always knew when Dave was in the room! His lively presence will be missed in the office. 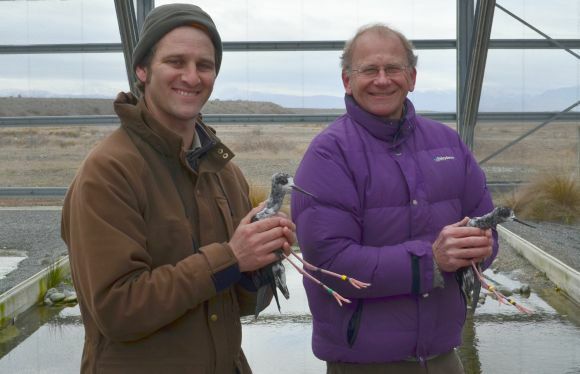 Dave spent the last 30 years working with critically endangered kakī in the Mackenzie Basin. Over this time he developed a huge depth of knowledge on New Zealand’s unique braided rivers, having worked within all major riverbeds from Godley river in the north, to Ahuriri river in the south. 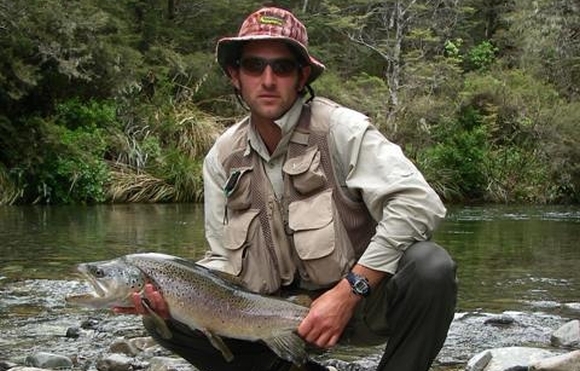 Job position: Ranger – Assets-biodiversity, Te Manahuna Area office, Twizel. 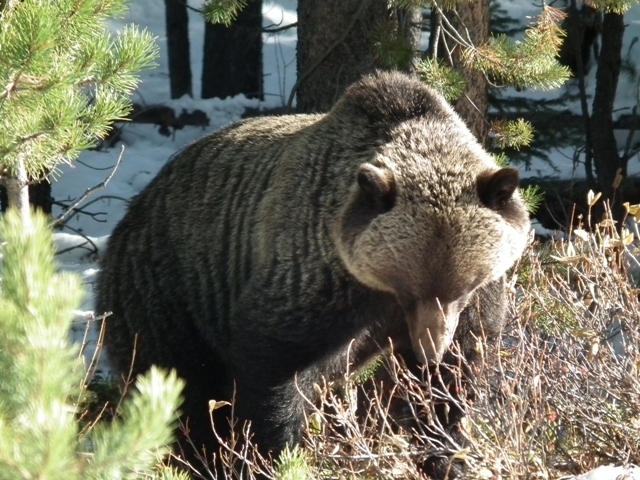 How did you get into conservation work? 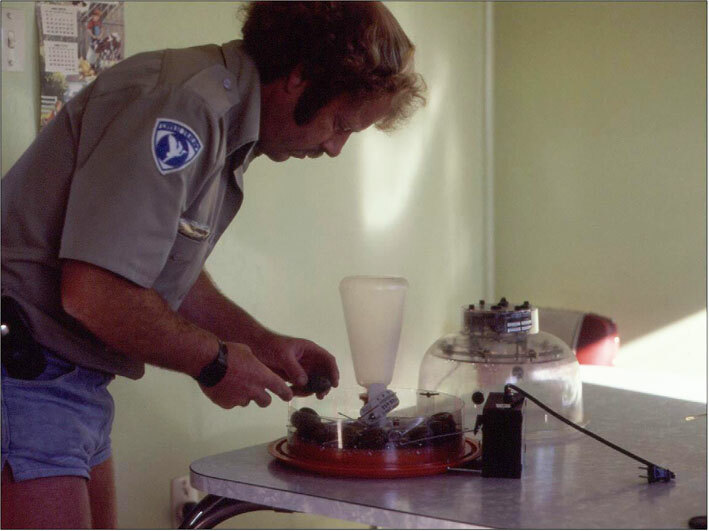 I started off working for the New Zealand Wildlife Service. The job was very diverse and I was one of the last people to get a job without a degree or the internal traineeship. There were only 200 employees in the Wildlife Service working in the field so you knew everyone—you could ring anybody for advice. It was far less formal, and more relaxed than DOC. There was not much money and you had to do everything on a shoestring. I spent some time in Rotorua doing law enforcement work and then moved to the West Coast. 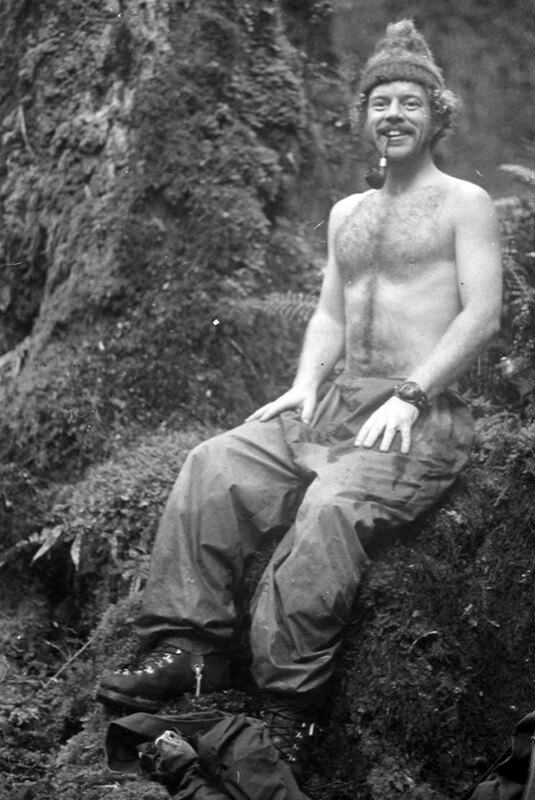 I spent several years carrying out bird and vegetation counts in the beech forest. We worked from Westport through to Okarito, concentrating on areas that were likely to be involved in logging. What was your role with DOC? 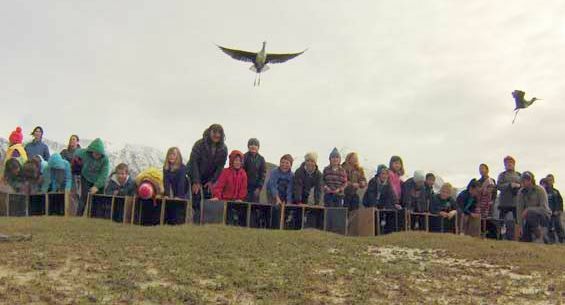 After a stint as the sole Wildlife Service officer in Hokitika, I was asked to come and look after the kakī/black stilts in Twizel in 1981. Since that time I have seen the kakī numbers slowly increase. Kakī would have been extinct by now if we hadn’t been doing what we have been doing. 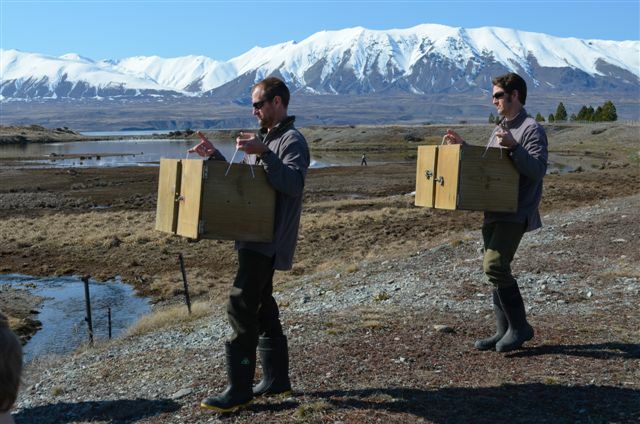 How did the Kakī Recovery Programme get started? In 1981 there were only 23 kakī left. 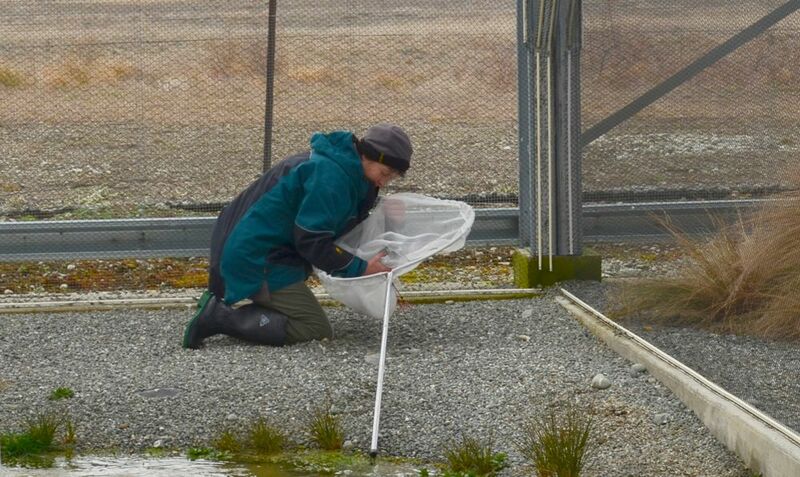 Ron Neilson was working for the New Zealand Wildlife Service in Dunedin and he came up and realised there were not many kakī. 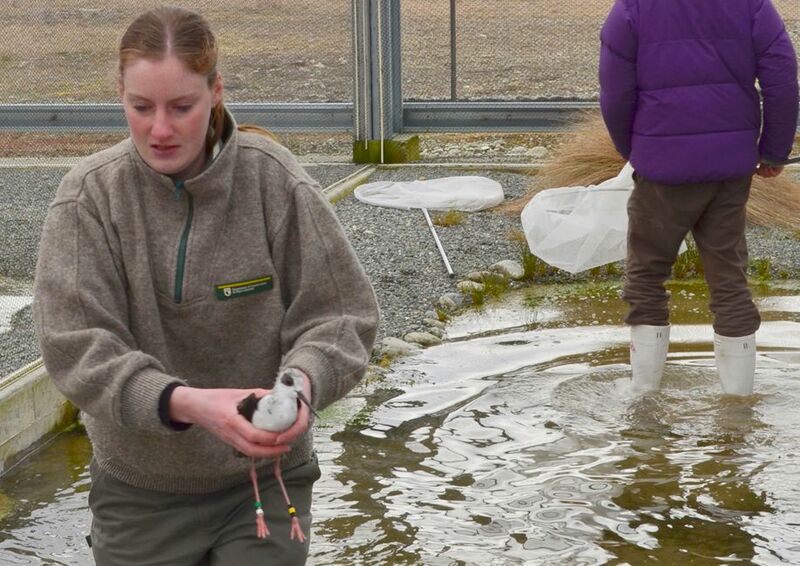 Also, Ray Pierce was doing a thesis at Otago University on black stilts and pied stilts and he figured out that between the two species, there were not many left. Have you any thoughts on preservation of our braided rivers and wildlife? How do people use riverbeds without stuffing them up? It would be good to fence off riverbeds and allow people to walk around them and not be able to drive. I‘ve seen a huge increase in the number of 4WDs in riverbeds over the years. I have also seen people park in the middle of black-fronted tern colonies to go fishing and wonder why the birds are annoying them. What was the best part of your job? Walking the river deltas on calm, clear days in winter… then spotting banded kakī that I knew and seeing them survive in winter—it’s pretty encouraging. Okarito on the West Coastis a place that is special to me. I’ve got a lot of images to categorise. I’d also like to photograph new stuff—I have just been photographing saddlebacks and stitchbirds. I take pictures of birds doing things, I don’t like posed pictures.